The USDA Agricultural Research Service wants to level up wheat, making it more nutritious. Getting a proper meal today might seem as easy as popping into the nearest diner, but appearances can be deceiving. Our diets, while gaining in calories, are also steadily losing in the nutrient department — for example, about 60% of the world’s population doesn’t get enough iron in their diet, says Robert Graybosch of the Agricultural Research Service. 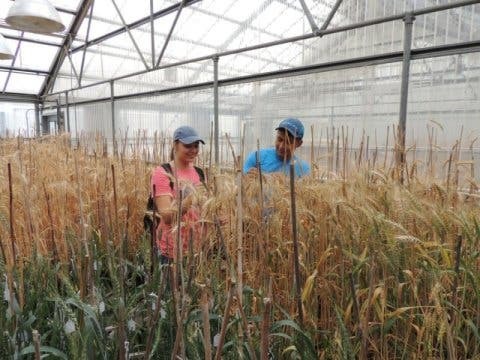 However, a new paper that he and his team published aims to solve this problem by packing wheat with more nutrients, especially minerals, through biofortification. While fortification is a process that takes place after the crops are harvested, biofortification begins even before the seeds are sowed. Fortification involves boosting the nutritional value of a food item, such as dough, through the addition of minerals such as iron as the food item is being processed. Biofortification involves naturally increasing a crop’s nutritional value by making it draw more iron from the soil in the first place. That being said, Graybosch states that people are hesitant to eat products that contain ‘weird’ ingredients added during processing. And, if the GMO debacle has taught us anything, people are similarly put off by ‘engineered’ crops. While we may debate at length about the merits of eating organic (it’s just bragging rights), Graybosch’s team decided they’d steer well clear of the controversy and instead work to make flours naturally contain more minerals. “Biofortification can be done via traditional plant breeding using natural genetic variation or natural mutations, or via genetic engineering,” he says. The team developed several experimental breeding lines of winter wheat (Triticum aestivum) by mixing several currently-available wheat types. A breeding line is the first step in creating a new type of an already-existing crop. Their goal was to combine two properties — a high level of protein and low phytate levels — into the grains. Phytate (phytic acid) is an antinutrient that prevents the body from absorbing certain minerals. USDA-ARS student interns Alison Coomer and Marco Gutierrez examine wheat plants in the greenhouse at the University of Nebraska-Lincoln East Campus. While biofortification can be a powerful tool, it can easily backfire. It’s not unusual to see a more nutritiously-dense crop drop in yield, which would hurt farmer’s profits and lead to an overall lower net nutrition level. 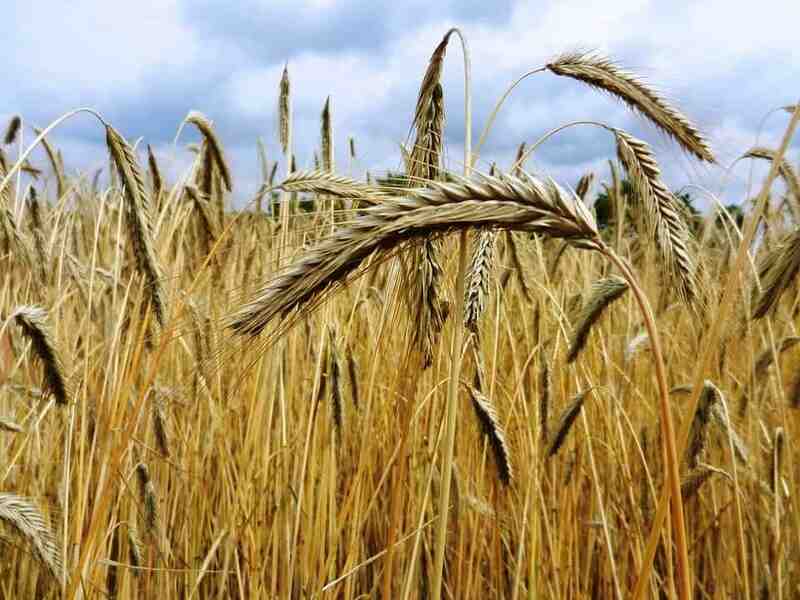 However, the team showed that they could successfully combine the two traits in a new strain of wheat without negatively impacting its yield. Such a plant, they report, would boast increased amounts of zinc, calcium, and manganese. The team was able to identify which combination of genes is required to create it. However, more work needs to be done before this biofortified wheat is ready to be planted by farmers: they still need to breed these genes into plants adapted for different wheat-growing areas, such as the Great Plains of the U.S.
All that’s left to do now is to breed these genes into plants adapted for different wheat-growing areas, such as the Great Plains of the U.S. The paper “Biofortification of Hard Red Winter Wheat by Genes Conditioning Low Phytate and High Grain Protein Concentration” has been published in the journal Crop Science.